I just had my last hot shower in these United States of America… so that means I’m officially going to the Peace Corps!!! Thank you Holiday Inn. Also, yesterday was day #1. We just did the usual: ice breakers, get-to-know-you games, awkward silences, a lot of clapping. But everyone seems really nice and excited about what we’re about to be doing. There are 39 people in my group. This afternoon, I will be beginning my 36 hour journey, so the next time I write, ill be in NAMIBIA! I miss you so much already Sydney! I love you and I promise to email you all the time! I know you will have the time of your life. 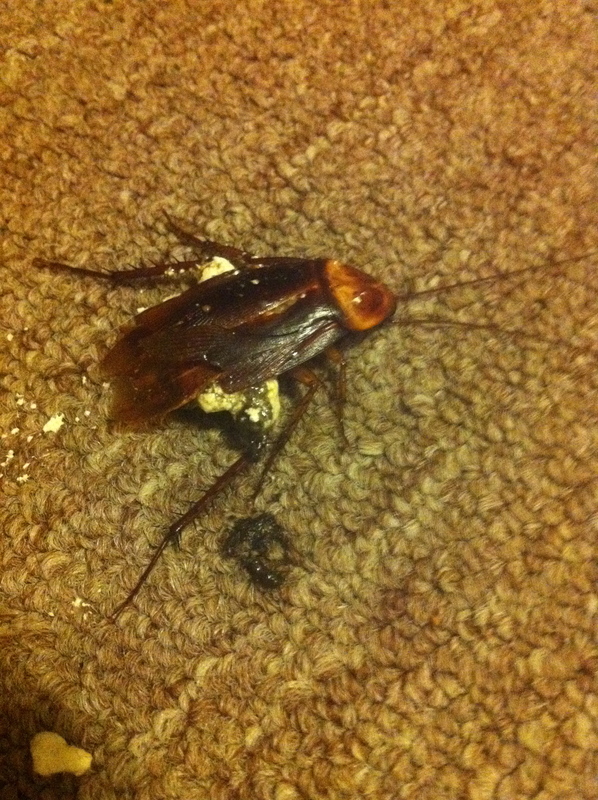 I would like to clarify that this is the first (and hopefully only) cockroach we have seen in our apartment. I know Sydney wants everyone to believe that Philly is just a big bug jungle so that nobody ever comes to visit me again, but I would like to dispel these rumors. Also, most of the bugs remain outside.